The cost effective and convenient nature of minibus travel has led to it becoming one of the most popular methods of transport in the UK. Minibuses are used in different ways from taking children on school trips to transporting adults on hen and stag parties. Using a minibus either on a self-drive basis or with a driver proves cheaper than rail and air travel and is more suitable than using two are three cars to get to a particular destination. There are many different kinds of minibus and sizes can differ greatly; 9 seat minibus hire often proves to be one of the most in demand. 9 seat minibuses offer excellent benefits to both driver and passengers. A driver has the advantage of driving a vehicle similar in handling ability to a car and can do so on a car licence whilst the passengers can relax in a light and spacious vehicle with leg and head room not afforded with smaller vehicles. 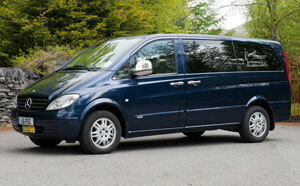 The two most popular 9 seat models in the hire market are the VW Shuttle and the Ford Tourneo. Unlike smaller 6-8 seat vehicles, The VW and Ford models resemble a larger vehicle in appearance they are also much more spacious and have an improved luggage capacity. Modern 9 seat minibus hire will give you a vehicle that comes with a high safety specification and excellent fuel economy. There is also air conditioning and a CD player so that passengers can enjoy the journey in comfort. Both automatic and manual transmissions are available and the diesel engine ensures maximum miles per gallon. 9 seat minibus hire is often the most in demand amongst hire companies, this means that some companies may not have a vehicle on the dates you require, for this reason, booking in advance is advisable. Rental companies will generally take advanced booking three months before your chosen date. You will need to have all of your travel plans in order to ensure you receive the best quote possible. Self-drive 9 seat minibus hire presents an excellent option for people looking to travel across the UK or even into Europe, and gives a group the freedom to see different sights at their own leisure. Finding a company that can provide you with a high standard of vehicle and customer service can sometimes be tough and there is more than likely to be rental firms that are below par. A sure sign of quality in a company is membership to the British Vehicle Rental and Leasing Association (BVRLA). The BVRLA are the trade body in the industry and ensure that high standards are met by any business providing rental vehicles. The United Rental System is the parent company for over 400 vehicle rental companies in the UK. Opting for 9 seat minibus hire from a company affiliated to the URS will give peace of mind that a modern, low mileage and quality minibus is guaranteed.